In the centre of our beautiful city Groningen, you will find the new, modern and hospitable Bud Gett Hostel. Stay in the heart of the city, the perfect starting place for sightseeing, going out and partying. You will find all the bars, restaurants, museums and shops at walking distance. Each room has its own sanitary unit. These units consist of a shower, a toilet and a wash basin. Our rooms are also equipped with a TV, airconditioning and lockers. We also have extra sanitary units on the floor. Most of our rooms have bunk beds. If like a twin bed please let us know. To keep in touch with every one you can make free use of Wifi in the whole building or use one of the computers in the lobby. In Bud Gett Hostels you rent either a bed or a room. We have got 33 rooms with different sizes. They vary from 2 to 10 persons per room, there is space to accommodate up till 124 persons. Are you looking for a place to stay in Groningen? We offer good, cheap overnight stays, right in the centre of Groningen. Our friendly staff will help you to find your way in Groningen. Bud Gett Hostels offers you a nice and tasty breakfast buffet in the morning, we also have a small shop for drinks and a small bite. No messing around with bed linen or towels, in this hostel your bed is already made and every day you will get clean towels. 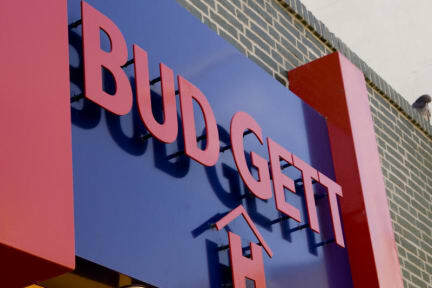 Bud Gett Hostels has 33 rooms (02-,03-,04-,05-,06-,07-,10-person rooms). The larger rooms are very suitable for overnight stops by backpackers and groups, the private rooms are ideal for families with children and people who want to have some more privacy. We also have a luggage room and if you like to rent a bike please ask at the reception desk. 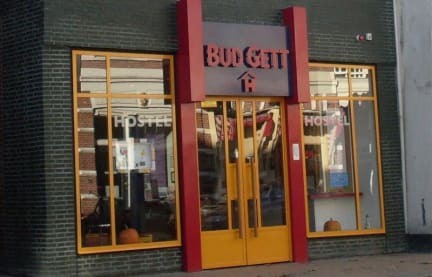 Bud Gett Hostels, the ideal location for a cheap overnight stay in Groningen. Come and see for you self, hope to see you soon! Breakfast buffet will be served from 07.30 till 11.00 oclock. Open 7 days per week and 24 hours per day. You have to pay a city tax, 1.45 p.p.p.n. A short walk from the train station. The room was clean and comfortable. It was great to have a 3 nights stay in beautiful Groningen and even greater to have Budgett Hostel as accommodation which is in the heart of the city where everything needed just around the corner. One of the reasons why everyone commended about the hostel is the best staffs namely Gijs and Emile who've gone extra miles assisted us with laptop in front, the advice were ever accurate, thank you guys! Keep on walking to all pleasing sights then come back to the room with air conditioner was best. Really well located hostel, clean and with good attention. Unbeatable location. I greatly appreciate the in room AC, and the made beds. The staff were top notch. The only drawback was that the bathroom for the 10bed room was the size of a closet. It was probably 2 square meters at most. I'm not sure how ten people are supposed to share that, though luckily while I was there the room was only half occupied. Great hostel for a fair price. I have no complaints. When you arrive, you will find a clean towel and soap on your bed, which is made for you. The location is really nice. Not far from the train station and close to nightlife /the center. The ensuite shower/toilet is really tiny, but they do have a bigger one in the hallway. They provide free lockers, but they’re smaller. It’s not a social hostel. (No events). There is a tv in the room too. Average hostel. They did believe I had breakfast, which was incorrect but at least they didn't try to charge me. PLUS: Good location and nice atmosphere hostel with clean rooms and bathrooms. MINUS: lack of facilities to boil water or cook.